The horoscope of modern Japan that traces its origins to February 11th, 1889, based on the promulgation of the Meiji Constitution* is based on 42 historically accurate events in Japanese history from the Nara Period to the current one. The rectification method employed transits, secondary progressed and solar arcs movements using the latest expert system analysis. 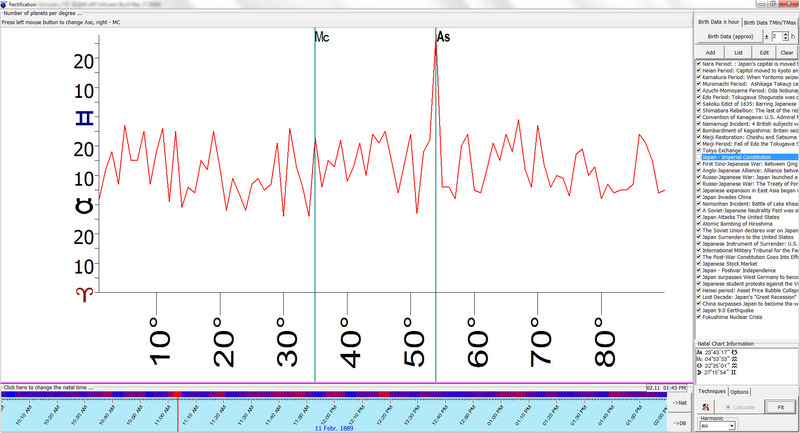 Although the evidence from the event data appears to be compelling, the rectification is still speculative. Therefore by no means is this an attempt to pass off this rectified time as the verified time for the horoscope for Japan, but rather a starting point for further speculation for Japan in 2012 and beyond. 02/11/710 12:00 PM Nara, Japan. Nara Period: Japan’s capital is moved from Fujiwara to Nara, modeled after China’s capital Chang’an. 11/17/794 12:00 PM Kyoto, Japan. Heian Period: Capitol moved to Kyoto and considered a high point in Japanese culture. 03/24/1185 12:00 PM Shimonoseki, Japan. Kamakura Period: When Yoritomo seized power from the Emperors and established Kamakura Shogunate. 02/11/1336 12:00 PM Kyoto, Japan. Muromachi Period: Ashikaga Takauji captures Kyoto and forces Emperor Go-Daigo to move to Yoshino. 03/24/1603 12:00 PM Tokyo, Japan. Edo Period: Tokugawa Shogunate was officially established in Edo. 03/24/1635 12:00 PM Tokyo, Japan. Sakoku Edict of 1635: Barring Japanese from leaving Japan and barring Europeans from entering. 04/15/1638 12:00 PM Shimabara, Japan. Shimabara Rebellion: The last of the rebels were defeated in their fortress at Shimabara. 03/31/854 12:00 PM Tokyo, Japan. Convention of Kanagawa: U.S. Admiral Matthew C. Perry forced the end of Japan’s Sakoku policy. 11/14/1862 12:00 PM Yokohama, Japan. Namamugi Incident: 4 British subjects were attacked on the Tokaido for unintentionally failing to pay proper respect to Daimyo. 08/15/1863 12:00 PM Kagoshima, Japan. Bombardment of Kagoshima: Britain seized three Japanese warships to put pressure on the Satsuma Provence. 07/04/1868 12:00 PM Endo, Japan. Meiji Period: Fall of Edo the Tokugawa Shogunate Ends. 08/01/1894 12:00 PM Tokyo, Japan. First Sino-Japanese War: Between Qing Dynasty of China and Meiji Japan, primarily over control of Korea. 02/12/1902 12:00 PM Tokyo, Japan. Anglo-Japanese Alliance: Alliance between Great Britain and Japan. 09/05/1905 12:00 PM Tokyo, Japan. Russo-Japanese War: Japan launched a surprise torpedo attack on the Russian Navy at Port Arthur. 07/30/1912 12:00 PM Tokyo, Japan. Taisho Period: Era is considered the time of the liberal movement known as the “Taisho democracy” in Japan. 08/23/1914 12:00 PM Tokyo, Japan. World War I: Japan declared war on Germany. 04/20/1927 12:00 PM Tokyo, Japan. Showa Financial Crisis. 04/18/1931 12:00 PM Tokyo, Japan. Japanese expansion in East Asia began in 1931 with the invasion of Manchuria. 05/15/1932 12:00 PM Tokyo, Japan. Japanese Militarism: The assignation of the Prime Minister ends civilian political control over government decisions until the end of World War II. 07/07/1932 12:00 PM Tokyo, Japan. Japan Invades China. 08/31/1938 12:00 PM Tokyo, Japan. Nomonhan Incident: Battle of Lake Khasan against USSR that ended in a decisive Japanese defeat. 04/13/1941 12:00 PM Tokyo, Japan. A Soviet-Japanese Neutrality Pact was signed. 12/08/1941 12:00 PM Tokyo, Japan. Japan attacks the United States. 10/09/1943 12:00 PM Tokyo, Japan. Battle of Guadalcanal: The Japanese defeat marked the transition by the U.S. from defensive operations in the Pacific theater to the beginning of offensive operations. 08/06/1945 12:00 PM Tokyo, Japan. Atomic Bombing of Hiroshima by the United States. 09/01/1945 12:00 PM Tokyo, Japan. Japanese Instrument of Surrender: U.S. Occupation Begins. 05/15/1946 12:00 PM Tokyo, Japan. International Military Tribunal for the Far East: Japanese leaders are tried for war crimes. 05/03/1947 12:00 PM Tokyo, Japan. The Post-War Constitution Goes Into Effect. 05/16/1945 09:00 AM Tokyo, Japan. Japanese Stock Market. 04/18/1952 01:30 PM Tokyo, Japan. Japan – Postwar Independence. 10/01/1964 12:00 PM Tokyo, Japan. Olympic Games held in Tokyo, Shinkansen trains begin service. 06/30/1966 12:00 PM Tokyo, Japan. Beatlemania: The Beatles Perform In Japan. 03/21/1968 12:00 PM Tokyo, Japan. Japan surpasses West Germany to become the world’s 3rd largest economic power after the Soviet Union (2nd) and the United States (1st). 01/18/1969 12:00 PM Tokyo, Japan. Japanese student protests against the Vietnam War and American use of military bases on Japanese soil. 01/07/1989 07:55 AM Tokyo, Japan. Heisei Period: Asset Price Bubble Begins to Peak. The rectification graph below employs the 4th Harmonic Aspect Series—the conjunction, square, and oppositions, against the list of noted events in Japanese history correlate powerfully to an inception time shortly after 11:00 AM JST time. Another rectification graph (below) employing the 8th Harmonic Aspect Series, dividing the whole circle into eight parts -conjunction, semisquare, square, sesquisquare, and oppositions, again correlates reliably to historical “watershed” events to a foundation time of the national horoscope after 11:00 AM JST on February 11th, 1889, in Tokyo. In the Japanese horoscope there is a Grand Trine in the Air element between the Sun – Moon – Uranus in the chart, suggesting an ideological vision of a refined and educated culture that encourages high aspirations for its people. The Sun in Aquarius reflects an intellectual leadership based on high-standing principles such as freedom, independence and individual rights. These set of placements would promote the development of a liberal democracy over time. The Sun-Neptune square in the chart that reflects a utopian dream for the state, which suggests self-sacrificial devotion to a cause or collective vision. This aspect also reflects sacred sovereignty of the state: the Emperor of Japan – as symbol of the nation and unity of the Japanese people However the Sun-Neptune square also suggest a great deal of ungrounded idealism in the nation’s psychology and a constant need to periodically re-define what it means to be Japanese (kokutai) as the nation continues to embrace modernity in concert with tradition. Therefore the nation is susceptible to periodic collective psychic outbreaks such as manias, fads, or extremist foreign-based ideologies that can infect Japanese society. 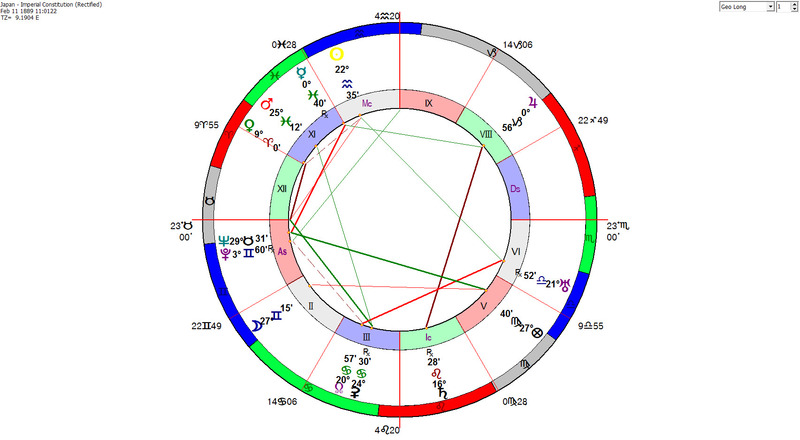 The natal Sun placement in the 10th house in the nation’s chart is in opposition to natal Saturn retrograde in the 4th house. This would suggest that the authority of state demanded strict subordination of the interests of the group or the individual to those of the state. Saturn rules the 4th House and is in mutual reception with the Sun by Dignity and Triplicity, engendering a society that voluntarily places great importance of obedience on the group, especially in the form of familial piety toward one’s parents, dead ancestors, most of all loyalty to the Japanese state. Natal Jupiter is in Capricorn (the sign of the patriarch) and is square to Mars and in opposition to the Moon, a pattern that supports the indoctrination of Shinto-Confucian concepts into the nation’s social ideology and a traditional and highly regulated primary education system (Moon Rules the 3rd House of Education) for the purpose of ingraining a great obedient family (populace) with a father-like emperor (Jupiter in Capricorn) at its head. The natal Grand Trine in Air (Sun-Moon-Uranus) with the natal T-square (Sun-Saturn-Ascendant) configuration presents cultural dilemma for the nation in that the traditional demands of duty (giri) to one’s family (Sun-Saturn-Asc) and (Ninjo) the pull of modern ways of living (Sun-Moon-Uranus). This problem is especially Japanese because the Japanese people are overwhelmingly group-oriented: they work in groups; they play in groups; and they seem happiest in groups. Such extraordinary feeling for collective behavior has its origins in the family, and any rejection of or failure to conform to the family raises for the Japanese individual the most serious questions about his/her role in Japanese society as a whole. 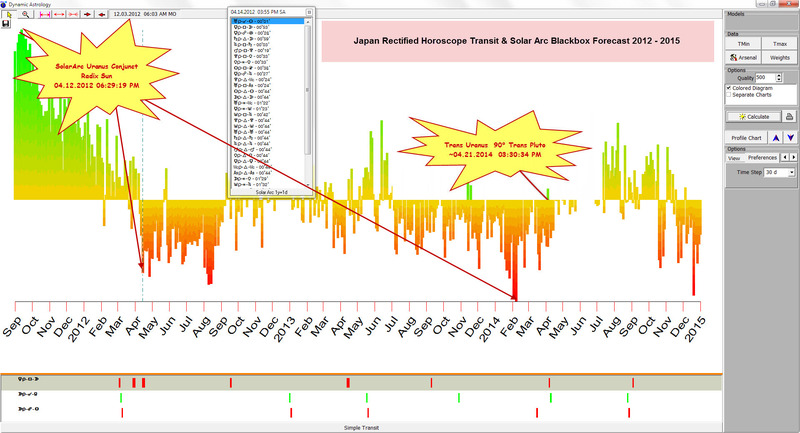 The Meiji Restoration horoscope based on the enactment of the Japanese Constitution on February 11th, 1887 at 11:01 (rectified) in Tokyo will be directly stressed by the Uranus-Pluto square alignment starting in 2012 over the next 3 years. This 127 Year planetary cycle appears to be important for the radical restructuring of peoples and nations. Ebertin describes it as ‘building again on the ruins of the old.’ The process is not necessarily as immediately drastic as this would imply. The conjunction that occurred during the 1965/66 marked out precisely the destructive and reconstructive aspects of this cycle by the crisis in Vietnam and Southeast Asia and the transformational emergence of Japan. On the scientific and intellectual plane, the 1965/66 conjunction in Virgo correlated closely with emergence of the electronic and microprocessor industry. In a national horoscope Uranus represents the individualistic, independent, self-reliant, and enterprising segment of society. Politically Uranus inclines to be right-wing, but equally to the “fascism of the left.” Combined with Pluto it represents the process of transformation in a culture (the collapse of the old order of things, the reconstruction of the new) better known as social revolution. Today, historian now talk of the pre- and post-1965 generation, e.g., those for whom the world of computers is still essentially strange compared to those who have grown up with electronic wizardry as part of the their natural environment. Undoubtedly this generation, known as Generation X (1965 – 1980), will be the group provide in society that develops the Information Technology solutions, and Internet based E-commerce and Social Networking systems that continue to revolutionize our day-to-day world, and in the fourth-coming decade that develops first generation of A.I. systems, the will propel humanity the t next stage of the technology revolution – “Technological Singularity” , and all that this implies for mankind’s evolution. The Uranus Pluto cycles historically, are noted the formation of subcultures that are critical of the traditional political norms of society. This is accompanied by a sudden emergence of new political parties or the development factions within established parties that resurrect the belief the of change social activism. In many ways the Uranus Pluto cycle is in many ways equivalent in action to the Tower card in the Tarot, in that it represents a sudden crisis, dramatic upheaval, major reversals, downturns, and revelation of what was hidden. Usually change is gradual, giving us time to adapt, but sometimes it is quick and explosive. This is the action of the Tower. The first Uranus-Pluto square alignment on June 24st, 2012 will closely align with Japan’s natal Venus and its Sun/Ascendant midpoint. Venus rules the Japanese Ascendant in Taurus, and therefore has greater significance in the horoscope. The Ascendant in a nation’s horoscope represents the nation as a whole based the original society and culture that existed before the nation was formed and the actual physical conditions of that nation. Venus has rulership over coinage and the intrinsic value of legal tender therefore it co-rules along with Jupiter a nation’s financial institutions, banking. Venus also rules, social stability, diplomacy and international relations. The Sun/Ascendant midpoint in the horoscope rules the national goals, objectives and how it projects its national prestige to the world as articulated by its ruling government. So the Uranus-Pluto alignment portends social and financial instability that will coerce the Japanese leadership to break from tradition and embark on a new course of for the nation. The struggle for a new vision for the nation will likely reveal itself through a zeitgeist (“the spirit of the time”) that will begin to sweep the Japanese nation with tremendous force and intensity, re-awaking the Promethean thrust for change, reform, and progress. Therefore the core power structure of Japan will fundamentally change in dramatic and unexpected ways that will impact the Japanese people beliefs and values. Although it is nearly impossible to say how it will manifest, what we can say with certainty is that what is most improbable, but nonetheless possible, will become mandatory for Japan in order to recovery and eventually thrive during the global transition that is underway. The Uranus-Pluto square that will follow will intensify the impulse for radical and sweeping social change in Japan that will cause great disruptions in society resulting in civil protest against the politician and bureaucrats deemed responsible for the economic and nuclear crisis. Thus it’s likely that the current Japanese class structure and social hierarchy will be shattered, while a new form of social order is created. Based on previous Uranus/Pluto alignments (1964 – 1969), we can expect an intensified awakening of countercultural activity, increase drive for personal freedom, and a reawakening of feminist movements in risk-adverse patriarchal cultures. Uranus-Pluto will pressure radicalization in the personal beliefs and ideas calling for civic action, especially among youth, replacing a former way of traditional ways of thinking with a fundamentally different philosophy and beliefs. The Uranus Pluto alignment to Japan’s Venus also likely ignite a women’s empowerment movement that will strive for equality and self-sovereignty that will infuse itself into Japanese culture. Japanese women’s gender empowerment index in 2008 was ranked 58th out of 108 countries, down from 42nd in 2006. One of the social implications for Japan will be women’s retreat from marriage as they focus on the workplace which will have profound social implications for the nation, but women in Japan will emerge by the end of this decade with considerably more political and economic power than they have today. Thus, the nation may be heading for a major financial crisis as marriage and family formation by young and early middle-aged Japanese continue to decline, the shrinking and aging Japanese population will now be a major issue as sales consumption and taxable income continues to drop. This demographic collapse, along with a deeply troubled economy due to decades of capital mismanagement, unrestrained entitlement programs, expanding public debt (presently 200% debt to the nation’s GDP), chronic deflation, high default rates, and rising unemployment, will push Japan to social instability that will create dramatic economic changes and government reform over the years ahead. For Japan, the overriding theme since the emergence of the 2010 Cardinal T-square in 2010 will be the continued tightening in government financing and rapidly declining economic conditions due to recent secular shocks to the system, such as the ravaging effects of the Fukushima crisis and the problematic demographic and cultural shift that has eroded the nation’s saving rate. Japan’s trade deficit in negative territory for the first time in decades, driven largely by energy imports. Saving rates have reduced dramatically. Before the Fukushima disaster, Japan relied on nuclear power for 30% of its total electricity production. As of March 26, 2012, that number is going to be 0%. As a result, Japan is importing more natural gas and oil as utilities boost non-nuclear power generation. Imports of natural gas in January jumped 74 percent from a year earlier and imports of petroleum jumped nearly 13 percent! In spite what the Japanese mainstream media reports, Japan is facing a summer of extreme electricity shortages, and this will impact the economy over the next 3 years, quite significantly. With shortages of as much as 25% of peak load, imports of oil and gas running into the trillions of yen, and consumers facing as much as a 20% hike in their electricity bills if the import costs are entirely passed along, it is clear that a serious challenge looms for Japan, especially this summer when the Uranus-Pluto alignment begins in late June 2012. Japan posted a record trade deficit in January as the yen’s strength and weaker global demand eroded profits at manufacturers and slowed the nation’s recovery from the earthquake and tsunami last year. The trade gap widened to 1.48 trillion yen ($19 billion) and shipments dropped 9.3 percent compared with a year earlier, as energy imports surged, the Ministry of Finance reported on Monday in Tokyo. Shipments to China, Japan’s largest market, fell 20 percent from a year earlier, the biggest decline since August 2009. Exports to Europe slid 7.7 percent and shipments to the United States advanced 0.6 percent. 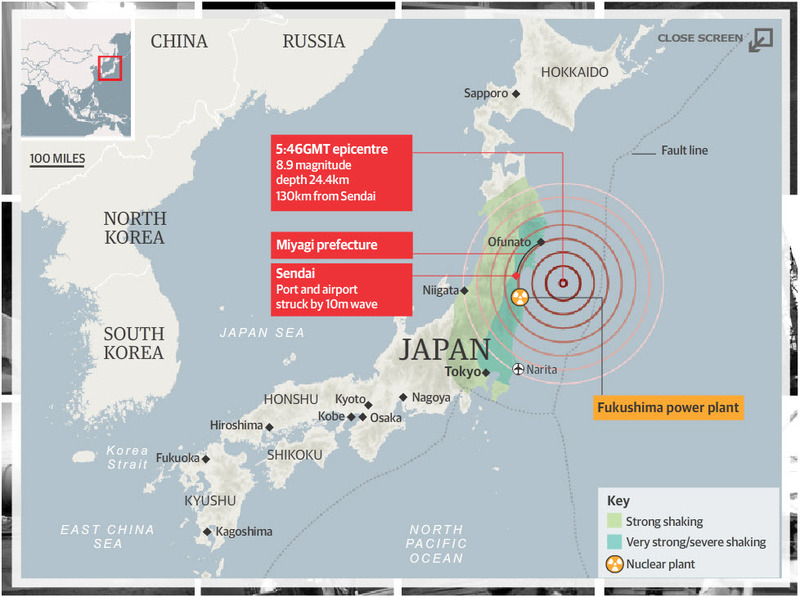 The earthquake and tsunami led to the idling of nuclear plants and a surge in energy imports. Japan’s liquefied natural gas imports rose 12.2 percent to a record in 2011 as power utilities increased thermal power generation. Energy needs accounted for most of the gain in imports in January. No matter how much the Japanese government marginalizes the continuing reports on the growing concerns among scientist about the radiation impact the Fukushima-Dai-Ichi site may have on Japan, as its bureaucracy attempts to protect its own interest, it will become clear to many, as the Uranus Pluto alignment forms, who begin to comprehend what 85 times more Cesium-137 than the Chernobyl means: the destruction of the world environment and our civilization. 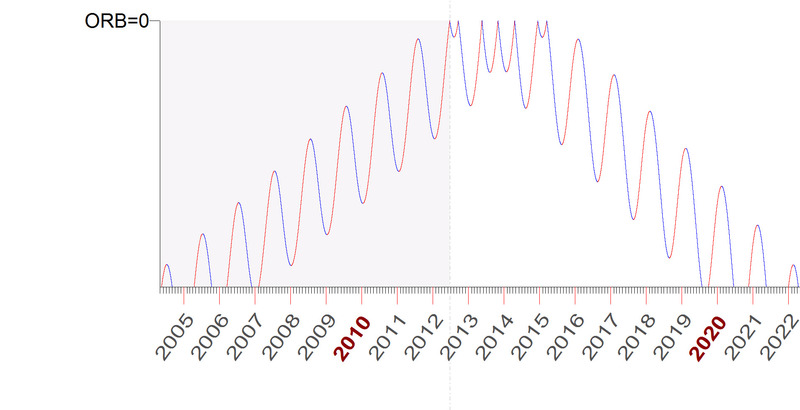 Based on both the secular and astrological data we can say with confidence that Japan is much closer to the brink of economic, environmental, and social crisis than ever before in its history, and is likely to stumble faster and further in 2012 than the extremely unstable situation in Euro Zone, which has been grabbing the world’s attention since 2010. Shortly after the Uranus-Pluto Alignment on June 24th that world watches, riveted, as Japan suffers a tragic and horrible earthquake and tsunami, but as horrifying as these are, they are localized phenomenon affecting a relatively small percentage of the country. The real trouble lurks within damaged nuclear plants, which are now ruined and will never again produce electricity for Japan, creating instant shortages that will take years to remedy. Worse a recent 8.0+ earthquake causes the water to drain from the 1,231 irradiated spent fuel rods in pool No. 4, that releases a dangerous plume of radioactivity from damages that is carried south by winds. Tokyo partially empties and shuts down for all practical purposes. By early October after the 2nd Uranus-Pluto square alignment, the abrupt slowdown of Japan – the world’s third largest economy alters the smooth flow of cash around the globe, and even causes reversals of some other long-standing cash flows. Manufacturing in Japan screeches to a halt, disrupting just-in-time manufacturing strategies both internally and across the globe. By December 21, 2012 – the Mayan End Date, the fiscal and material retrenchment of the Japanese economy will have profound impact across the globe, especially on the United States as Japan has to stop buying US Treasuries to direct capital to its domestic needs or — even worse — begin selling Treasuries for the same reason, forcing the U.S. Federal Reserve will gear its digital printing presses into overdrive to make up the gap resulting in a debasement of the world’s reserve currency. Even if this proposed scenario doesn’t play out as described above, the bottom line is that Japan is facing an imminent economic meltdown. And if the government and Central Bank is not careful, it may well face a currency meltdown, too. Of course these things take time to play out, but now almost exactly a year after the devastating earthquake of 2011, and 19 months after the Cardinal-T Square direct hit on the Japanese horoscope, difficulties for Japan are mounting. The bottom line is that Japan is in serious trouble right now and is a top candidate to be the next so-called next “black swan” event as the Uranus-Pluto alignment begins to yield its ravaging and world-shattering effects. Make no mistake. A material retrenchment of the Japanese economy will have profound impact across the globe. One notable example: If Japan has to stop buying US Treasuries to direct capital to its domestic needs or — even worse — begins selling Treasuries for the same reason, the Federal Reserve will have to put its printing presses into overdrive to make up the gap. Regardless, the Uranus-Pluto alignment will bring a new impetus in Japan to develop new proto technologies in alternative and replenishable energy such as solar power and nuclear fusion with a rapid moving away of imported fossil fuel sources, spawning the development of new micro industries that specialized manufacturing in space for the production of medical products, electronic machinery, and biodynamic methods of growing food that respects the delicate ecological balance. 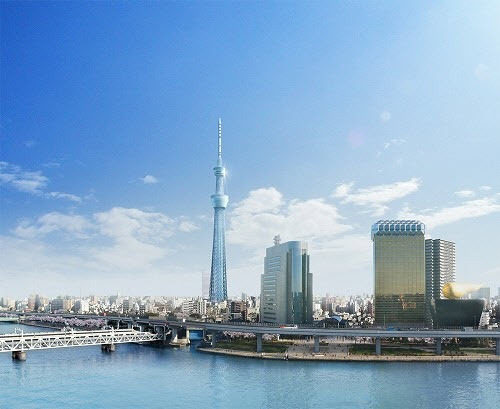 By the end of 2015 will likely see Japan move quickly to developing a new (Type 1 Civilization) economy and 21 Century industrial and energy system infrastructure, employing the use of Nano-technology, Zero-point energy systems, and the integration of Artificial Intelligence systems with Robotics.